The Glenn Beck Review: Beck tweets during presidential debate: "Why vote?" Beck tweets during presidential debate: "Why vote?" I am glad to know that mitt agrees with Obama so much. No, really. Why vote?…He is not hitting anywhere. Is this to make him not scary? He is scaring me. 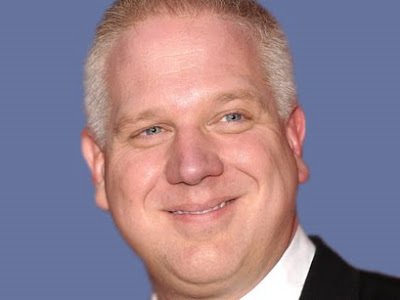 Glenn Beck did not like what he was hearing from Governor Romney during the debate this week, but it was not obvious on his radio show the next morning when he chose to approvingly focus, focus, focus on the false claims Romney made against President Obama. There was, yet, another major flip=flop on Romney's behalf during the debate, and before listening to Beck's next day rant in support of the candidate of the Party that Beck claimed he "hates," it is well worth letting a professional address what Governor Romney said during the debate with Obama. So Romney lied to his supporters about Reagan's treatment of foreign policy during the first 100 days of his administration, flip-flopped on Afghanistan and has conveyed a disconcerting indifference and incompetence with foreign affairs. You just know that this narrative was nothing akin to what was heard on The Glenn Beck Program the next morning. Reactionary Beck did not tell his radio audience to not bother voting and instead focused upon the absurd lies that Romney told -- and Obama dismissed as proven bunk -- during the debate. Obama did not go on an "apology tour." One of the sources of that false claim is the conservative Heritage Foundation. If you can find one example of President Obama apologizing, saying "sorry" or expressing regret in any of the examples in this deceitful piece entitled "Barack Obama's Top 10 Apologies: How the President Has Humiliated a Superpower," then you have the ability to comprehend words that the President never expressed. Even though the current issue M16A2 rifle and the new M4 carbon are capable of using a bayonet, the tactic of sending troops charging into the enemy with bayonets fixed is not a part of modern military doctrine. It has already been pointed out that Governor Romney lies a lot. According to Igor Volsky on the Think Progress website, Romney conveyed 24 "myths" during the debate. 24 lies in 41 minutes of talking. Update, 10/25/2012: Actually Obama was most likely wrong about the number of bayonets deployed in the Armed Services today. In 1916, WWI was under way, but the U.S. did not enter until the following year. Today, there are hundreds of thousands of bayonets deployed, and training still takes place in the Marines. If you doubt that Gov. Romney is trying to lie his way into the White House, check out the 49 lies listed on just one of 39 web pages listing his many false claims. See "Chronicling Mitt's Mendacity, Volume XXXIX."